The Doctor and her friends are skipping Christmas this year. 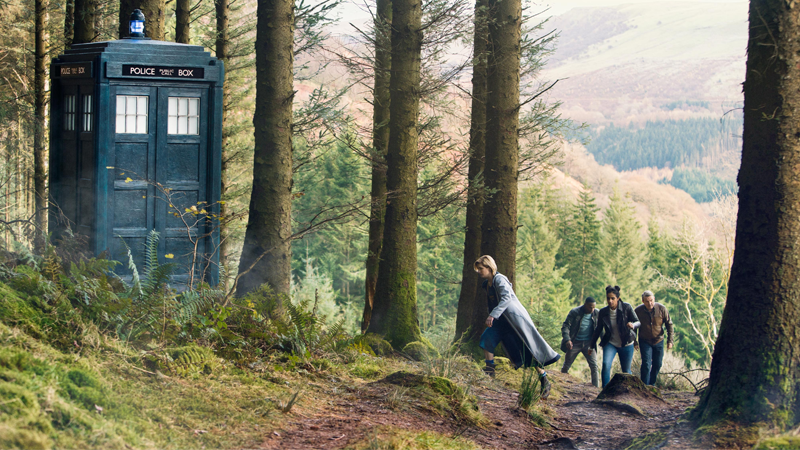 For the first time since Doctor Who returned in 2005, there won’t be a special episode airing on Christmas Day...but you seemingly won’t have to wait too long to get another slice of adventures in Time and Space. The final page of Doctor Who Magazine #532, confirming the New Years special. It’s not the first time in modern Who that the show has aired over the New Year period. David Tennant’s swan song story, “The End of Time,” aired across two hour-long episodes, one broadcast on Christmas Day 2009, and the other broadcast New Year’s Day 2010. But it is seemingly the first time Doctor Who will have skipped a Christmas broadcast in the last 13 years. io9 has reached out to BBC America to confirm just when we’ll learn more about the special, and will update this post if we hear more. But given how secretive this season of the show has been, it’s perhaps more likely that we won’t be learning much more until after season 11 concludes in a few weeks. Leading up to the first-ever “Who Year’s Day,” BBC AMERICA will present a Doctor Who marathon, starting with all the Christmas specials at 12pm ET/PT on Monday, December 24th, going into the big day itself, Tuesday, December 25th. After that, it’s a marathon of all the Doctors, starting with Peter Capaldi, followed by Christopher Eccleston, David Tennant, and Matt Smith, leading straight into the New Year’s special on Tuesday, January 1st. As the New Year begins, a terrifying evil is stirring from across the centuries of Earth’s history. Will the Doctor, Ryan (Tosin Cole), Graham (Bradley Walsh) and Yaz (Mandip Gill) be able to overcome this threat to Planet Earth?